Several examples of solids, liquids and gases clipart to help students classify the states of matter in 2nd grade science. 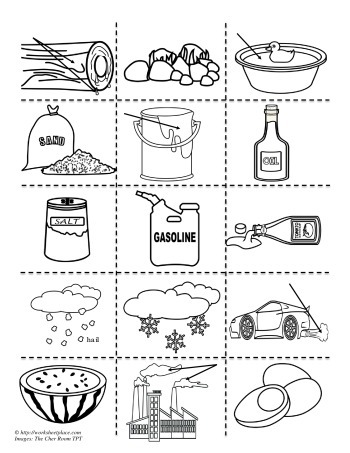 Use the clipart to create categories of the states and to describe each of the matter. A lot of students confuse gasoline as being a gas, gasoline is a fluid that can turn into a gas.